The post-apocalyptic world of AMC’s The Walking Dead has seen many enemies come and go over the past 9 years. Besides the forever impending doom of the undead, there have been the governor, the claimers, the cannibalistic people of Terminus, a violent group of scavengers known as the Wolves, and more recently, Negan and the Saviors. Which leads us to perhaps the most curious of antagonists to date, The Whispers. Something fans of the comic series have been awaiting for some time, there are those who claim to have seen Whispers at the conclusion of season 8. Then with the war the Saviors ended, and a time jump in the storyline, season 9 finally brought The Whispers on in full force with the mid-season finale of Evolution, which premiered on Sunday, November 25, 2018. Now, over two months since the shocking turn of events in Evolution, Season 9 of The Walking Dead finally resumes on Sunday, February 10th, with the new episode Adaption. A much anticipated return, many questions remain unanswered as to what will happen next. That in mind, let us first reflect on some of the highlights of season 9, thus far, leading up to this point. There has been the time jump, one which sees an older Judith, now a sharp shooter and key character in the story. There has also been a split between Maggie’s Hilltop and Rick Grimes’ Alexandria. In this split, we see Maggie has become extremely isolationist, looking to keep her people safe – even being ruthless when needed, finally ridding the camp of Gregory once and for all. Then, of course, there was the unexpected turn of events which saw Rick all but killed off, only to be rescued and flown off into the sun by a chopper to an unknown destiny. 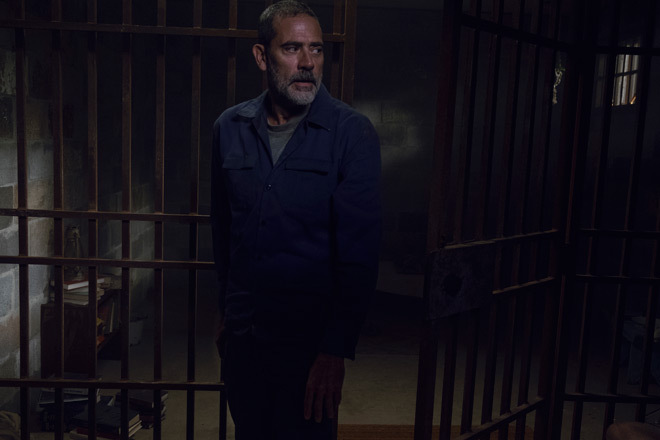 Through all of this, Negan still remains imprisoned. Of course, there have been other story shifts along the way, but these are the boldest and most important as we move forward. Which leads us to the tension-filled Evolution, directed by long-time The Walking Dead collaborator Michael E. Satrazemis. In this mid-season finale, we see The Walking Dead officially solidify its new stylistically approach. Something that was evident from the first episode of season 9, the atmosphere has been significantly altered. Reshaping the series, the pace and cinematography are the boldest changes, making each episode feel more like a feature film than an entry in a television series. In fact, Evolution feels like a full-blown Horror flick. Building a sense of fear, it explodes in the impressively shot graveyard scene. 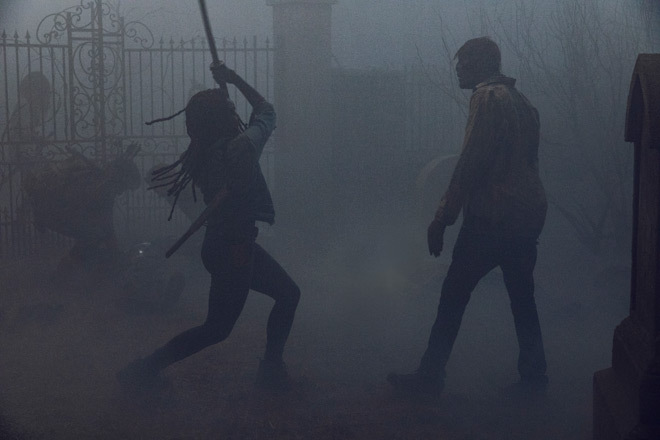 The final minutes and climax of the episode in this graveyard scene, there are fog and mystery that leave you with the feeling that something big is going to happen, and there is a terrifying realization that among the undead are the living camouflaged in dead skin ready to fight back. Yet still, what does this all mean? 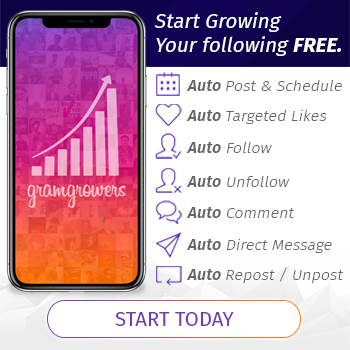 Who are The Whispers and what do they want? Who is their so-called leader Alpha? Will they be The Walking Dead’s most ferocious threat yet? Additionally, what will happen with Negan’s most recent escape from prison? These are just some of the questions that will hopefully be answered in the closing 8 episodes of season 9. Which also raises the most important question: how many fans has The Walking Dead lost forever? Let’s face it, there has been a steady decline in viewership over the past couple of seasons. Why? Many grew tired of the snail’s pace storyline and the often absurd plot twists, among other reasons. Then there were the dedicated followers who pledged devotion to the series no matter which way the wind blew. In the middle, there were also those people who figured they had invested so much time into the series, why stop watching now? 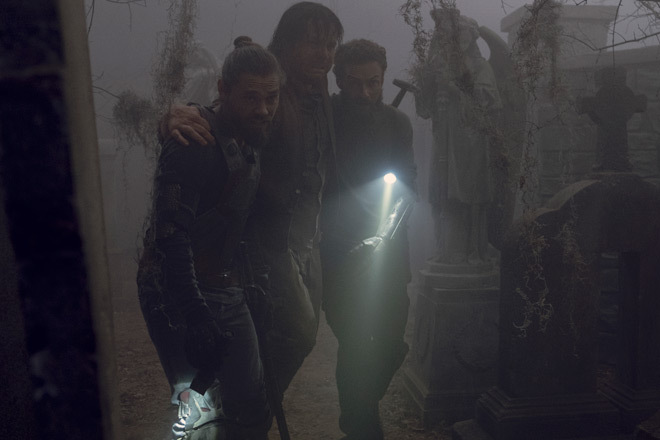 Whatever the case may be, perhaps anyone who tuned out should turn back in to see if the revamped approach to The Walking Dead stimulates new interest. From there, take it or leave it, but, nonetheless, give it a shot. 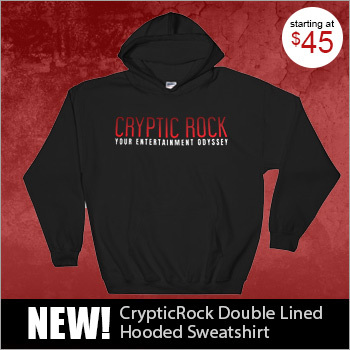 Eager to see what comes next, Cryptic Rock gives Evolution, and the first half of season 9, 4 out of 5 stars.